I can not count the times, down the years, to come across a memoir by an unfamous offspring of a famous personage in the literary or art world, premised on some anger at the real or perceived shortcomings of the father. I never thought of a twist on this phenomena asserting itself in the wine world. An ambitious son, who leveraged a heritage into unimaginable riches, emoting on the memory of his wine industry legend father in the French newspaper Le Monde. At first read, I was bouche bée (astonished). In the early 80’s, at a café on the rue Saint Honoré, I met up with a strawberry blonde actress in from Hollywood. She thought that I, with my minor roles in French cinéma, could lead her to an audition with an A-list director like Bertrand Blier. Suddenly, she had to run to the gare to catch a train to Bordeaux. Her destination: Château Prieuré-Lichine. Her host: Alexis Lichine. When crossing streets, her beauty crushed hearts beneath her heels. A Russian-born naturalized American, Alexis Lichine seized the wine world by its trunk. He commanded at various times every branch: retail salesman in NY, leading importer of French wines, author of “Wines of France” and “Encyclopedia of Wines and Spirits,” owner of Château Prieuré-Lichine in Bordeaux, and other properties. He was an incessant advocate for French wines in the U.S. and on French TV. Alexis Lichine had a reputation, even at un brave âge, as a noceur, a lover of parties and beautiful company – “les demoiselles,” as he told People Magazine. When I relocated to Manhattan to sell wine at an upscale shop near Central Park, one spoke there of Alexis Lichine in the hushed tones reserved for kings. Sacha Lichine grew up in Manhattan, attending the Lycée Français, and spending summers in Bordeaux. Alexis and his mother divorced in the early 1960’s. At an early age, Sacha came to know the wine world and its ways. He organized tours to posh restaurants in France and was a sommelier. Assignments followed at a wine brokerage and a wine importer, and setting up a distributorship for Louis Roederer Champagne in the Caribbean. All the while, a self-absorbed Alexis reveled in the social frenzy and the grandeur. He split his time between a 14-room apartment on the Upper East Side and Bordeaux. Father and son were like two neutral countries: occasional friction but no combat. Sacha had worked his way up, and seemed to know everything about wine. Yet, there was a yearning for more attention and affirmation. With the years came a mellowing that, as Frank Prial noted, brought a coming together in Bordeaux. Sacha returned to the Château in 1987. When Alexis passed away two years later, Sacha was well-armed to assume control of the Château Prieuré Lichine. Sacha expanded production and upgraded the cellars at the Château. He diversified his investments in other wineries and a wine brokerage. Whatever passion there was, it became used up. With Bordeaux no longer lustrous, Sacha moved to Switzerland. In 1999, the Château was sold for a reported $28.8 million. There were debts. It was to be in the Var, the sun-parched département between Provence and the Riveria, where his true ambition found its place. Sacha’s destiny would remain in wine, rosés rather than reds. 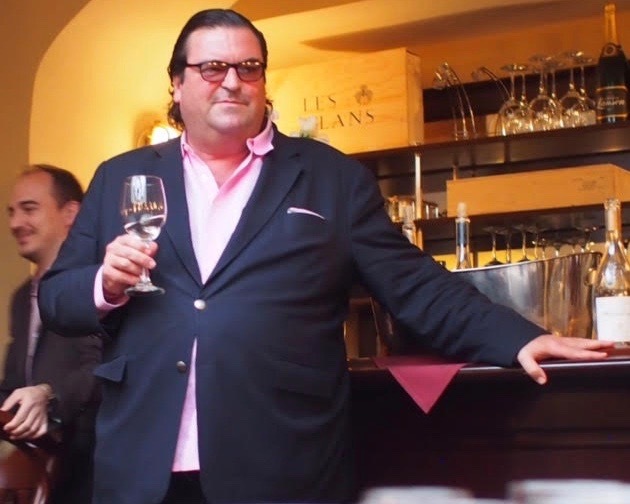 In 2006, Sacha Lichine purchased the Château d’Esclans near the the village of La Motte in a vast area of Le Var known as L’Arriere-Pays Varois. Sacha’s first move was to launch a rosé called Whispering Angel. It is a négociant [nay-goh-SYAHN] wine produced by purchasing grapes from multiple vineyards. Whereas production at an estate is limited by the surface area of vines, a négociant may increase supply by buying more grapes from other vineyards. What mild irony comes calling when one recalls that Alexis Lichine urged French vineyards in Burgundy, Alsace and Beaujolais to produce estate-bottled wines by not selling their grapes to négociants. Snazzy promotional images for Whispering Angel feature playful young women, who are “the best agents for the brand,” Sacha told Le Monde. The wine’s other seductive selling point: paleness, the paler the better. 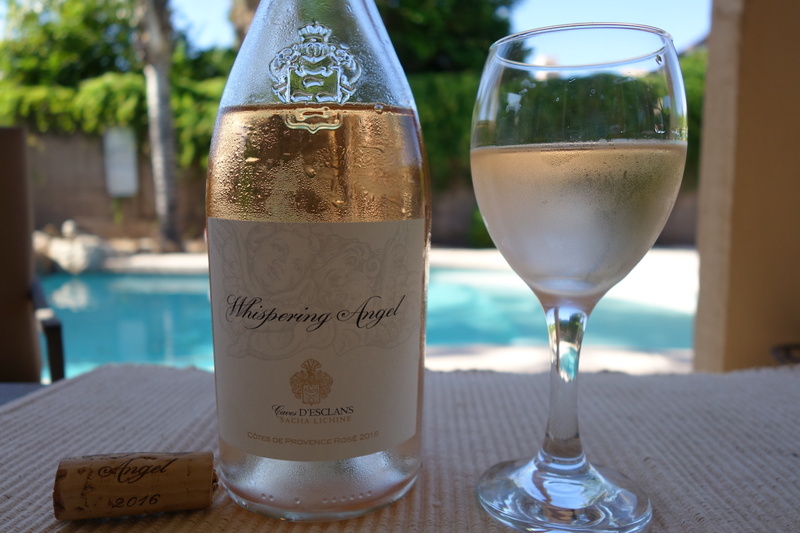 The Chateau d’Esclans vinifies three estate-bottled rosés of distinction. If you ever catch a woman sipping the estate’s Garrus rosé, she is either well-loved or very rich ($95.00 a bottle). Sacha learned to swim in the turbulent waters of sheer ambition and to stay erect amid huge gusts of narcissism and megalomania. He held onto the sheer ambition; he declined the latter two. There were traits of the father that the son took on, among them not to mince words, defiance in ignoring conventions, and the cordial European art of hospitality (l’art de recevoir). To these one can add an essential touch: to sell wine, one must faire du charme (be charming). These sentiments resonated with those of Alexis who, according to Frank Prial in his book Decantations, “mocked and raged at what he considered the secrecy, the snobbery and the petty jealousies” in the Bordeaux wine scene. There were early hurts, never forgotten, like fading scars never quite vanished. During the interview with Le Monde, Sacha emoted about intimate details, the dregs of his inheritance. Sacha, like Alexis, lives life in accordance with success, relishing its intensity, its pleasures, and its boundlessness. That said, for any son or daughter of a great man, one always exists, in a large or small part, in the shadow of the one gone before. *The term Sacha employed was “pratiquait le tabassement émotionnel.” Tabassement is derived from the verb tabasser, which means to hit repeatedly with force, to thrash, literally, to beat up. Pratiquait means practiced. « Of Marilyn, Tavel, and the Colour of Love	» For the Writer Jim Harrison, a Bandol Red of the Domaine Tempier Was His Reverie, His Lyric.